Why are boys so different? Why would a trip to the garbage dump be such a highlight in a boy's life? What do boys need to learn in order to become good men? A mother's influence on her sons is unique and valuable, but still sometimes moms don't understand what makes their boys tick. They want to help their sons grow up to become men of honor and integrity, but that's a tremendous challenge. 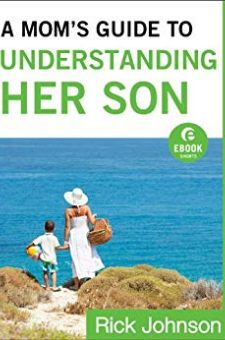 With refreshing honesty and a man's insight, author Rick Johnson offers the advice, understanding, and support every mom is looking for when it comes to raising godly sons. Using extensive research and humorous personal experiences, he addresses tough issues, such as communication, discipline, sexuality, and respect.Mothers, including single moms as well as grandmothers and teachers, will find wise counsel and reassurance in this practical and helpful book.